Techland is proud to announce some spooky Halloween content for several of their games, alongside some great sales. 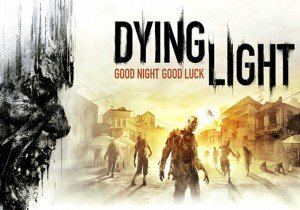 To kick off this year’s Halloween, on October 29 another content drop for Dying Light: Bad Blood, this time containing a Horse Head masks, will go live. The drop will be followed by an in-game event with a whole new spooky setting, and a bunch of Halloween-themed outfits. The event starts on October 31. Also on October 29, Dying Light will be available on Steam for up to 67% off. During the Halloween sale, gold tier weapon dockets and seasonal skins (Some Old Bones & Karcass Buggy) make a comeback and will be up for grabs during multiple giveaways. Additionally, Dying Light & Dying Light: Bad Blood will be available as a bundle for 10% off. For pumpkin farmers at heart, Techland has prepared a Pure Farming 2018 Halloween event. Starting October 29 players will be able to find extra cash across the map, and enjoy free holiday-themed outfit pack. This is the first in-game event for the title, resulting from Techland’s promise to keep providing support for the game based on gamers’ feedback. At the same time, Pure Farming 2018 is available at 60% off its regular price. Call of Juarez and Call of Juarez: Gunslinger will be available at 75% off on Steam starting October 29. Camex Games announced today that their Tactical Monsters strategy game has now gone live on Steam.